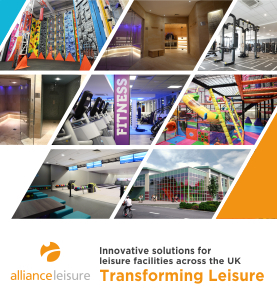 A 4 per cent increase in the number of people having health club memberships helped European fitness club operators record total revenues of €26.6bn (£23.3bn, US$32.7bn) during 2017. The figures come from the European Health & Fitness Market Report 2018, published by EuropeActive and Deloitte at the recent FIBO event. The report also shows that the number of fitness facilities in Europe increased by 3.2 per cent during 2017, to 59,055. The largest 30 European fitness club operators accounted for 14.1 million members, representing 23.5 per cent of all memberships. Merger and acquisition activity reached a new high during the year, with 20 major M&A transactions in the operator market. Germany strengthened its position as the country with the highest number of fitness memberships (10.6 million), ahead of the United Kingdom (9.7 million), France (5.7 million), Italy (5.3 million) and Spain (5.2 million). In terms of market penetration, Sweden ranks highest with 21.4 per cent of the total population holding a health or fitness club membership. Other countries with high fitness club penetration include Norway (20.9 per cent), Denmark (18.3 per cent), the Netherlands (17.0 per cent), and the UK (14.8 per cent). Overall, 7.6 per cent of the total population in Europe were members of a health or fitness club, with a penetration rate of 9.1 per cent for people aged 15 years and older. "2017 was another year of strong growth in terms of both membership and market value. This shows that the products and services of our sector remain highly attractive to consumers across Europe and makes us confident to reach the industry goal of 80 million members by 2025."